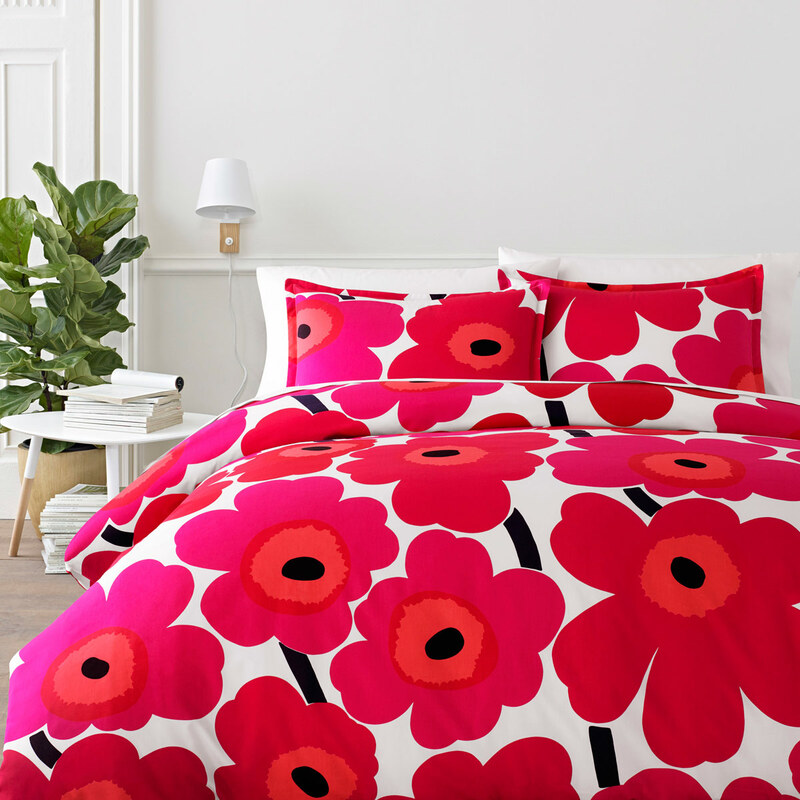 More about Marimekko Unikko Red Bedding Wake up to the cheery poppies of the famous Marimekko Unikko pattern. 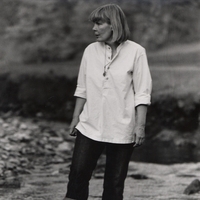 Maija Isola designed the bold blossoms in 1964 yet the pattern still resonates with the world half a century later. In the original red and white colorway, this classic will never go out of style regardless of coming and going trends in home decor. The 300-thread-count, 100% cotton percale bedding set is machine washable and will be as appealing to snuggle up in as it is to look at for many years to come. Gorgeous set, vibrant colors and well made. I love bedding's bright, colorful pattern. Its cheerful design brightens up the room. The internal ties keep the duvet from slipping down. ConsThe material could be a touch softer. Beautiful cheery sheets -- I'm really enjoying using them! I've wanted them for years. FinnStyle's sale price is a great deal!! Totally positive experience. I just love this design and the quality and feel of these sheets is excellent and as described. ProsColour and design and cotton quality. ConsSpoils you for anything less. High postage cost to Australia! The fabric is nice and has a satin feel. I have always liked the Unikko design so these sheets are a great addition to my other Marimekko fabrics. LOVE this color! And I love waking up to these flowers (even my husband does!!). I will be buying this print in ANY COLOR I can!! ProsBeautiful color Washes VERY well Stays 'true' in color!! I have these sheets in blue and love them. The red ones I just bought are a gift, not given yet. Beautiful to fall into bed, soft, silky and so comfortable! A pleasure to the eye and to the body. These work great on our oversize pillows. ProsPerfect match with the sheet set. As described. Washed once before use and colors are very vibrant (did not bleed into each other). Great quality! Will purchase again. Highly recommended. This is my second set in 2 years. Love the feel, fit and color. The Finns know how to make a quality product. The sheets are cheerful and well-made. Love the feel and look of these duvet covers!!! These sheets are top quality and beautiful! Definitely worth the price. They fit my extra tall mattress perfectly and are so comfortable to sleep on. They also wash nicely!! Pleased with the price, the ease of purchase, the prompt shipping. I would definitely use this seller again. I love Marimekko and the amazing creativity of Finnish designers in general. And Finnstyle is a great source to have online. The colour, design and construction of both the duvet cover and the pillow cases are amazing. Fit is great for a cal-king and it looks absolutely beautiful with our white walls. My only complaint is I've washed it twice now and all three pieces are still a little crisp and not smooth and soft. (yes - in cold water without too much soap, and yes, I dried it on the "low" setting as instructed). I'm hoping another wash or two will help soften it. ConsNot as soft as I'd hoped. This Marimekko pattern is bright and cheerful. The quality of the fabric seems excellent. The finish work inside is good. ProsAfter one washing, very few wrinkles. ConsThese are a bit tightly fitting on my king pillows. Worked well on my adjustable bed. Soft, well constructed, generous depth on fitted sheet. Brilliant color! Lovely pillowcases- but I do not think they are the "Pieni" Unikko - as they are the same as my duvet covers. 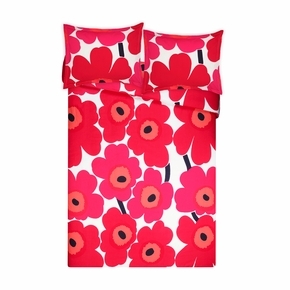 Your duvet covers also show the Pieni Unikko on the reverse side - and they are the same size on both sides. Not really a problem - As I love them regardless. ProsGreat cotton - washes well - Gorgeous colours! Poppies! That will make them sleep! All the exuberance that is still as fresh and modern as Marimekko was in the 60's. This print just popped in our newly remodeled bedroom! Love, love, love the vibrant colors, quality fabric, stitching, and generous sheet size. This was our second set. Well made and very durable. They get washed once a week and faded very slightly over the last 4 years. ProsGood quality fabric and bright red floral color. ConsOnly comes in the red one color. We liked the blue too but it is no longer available. The pattern is great but other shams I've owned have had more structure - quilted or thicker fabric. I think they would be worth it if you had a contrasting sheet and pillow. I've wanted to purchase these sheets for some time, and moving house (and not being able to find our extra sheets) provided a great excuse. They are wonderful. The design is classic, timeless, and delightful. They make you feel as if you're sleeping in a field of flowers, and the colors cheer up any room. They fit well, the fabric feels crisp and smooth, and I'm so happy to finally have them on our bed! pattern - it makes the whole room so alive and pretty. I use them with the Marimekko quilt of the same design. beauty and substance - I am a true fan! Quick delivery from Finn Style. Cheerful design brightens our bedroom. I just came across this one in a sale advert, so bought it, in memory of the same design I had in my childhood, 40 years ago. It feels wonderful and smooth .... but the cover is about 10 inches longer than my IKEA duvet, so I have to turn it over at the top (inside there are little ties to tie it to the top of the duvet, I suppose, but for that the duvet would need 'buttonholes' to thread the little ties through). Bit of a shame, this - on a cold night I like it to be warm up to my nose... Otherwise it's great (just arrived, so cannot speak about washing, wear and tear. Consrather large - maybe for those tall Finns? note only beautiful, but soft. love the pattern and fabric! 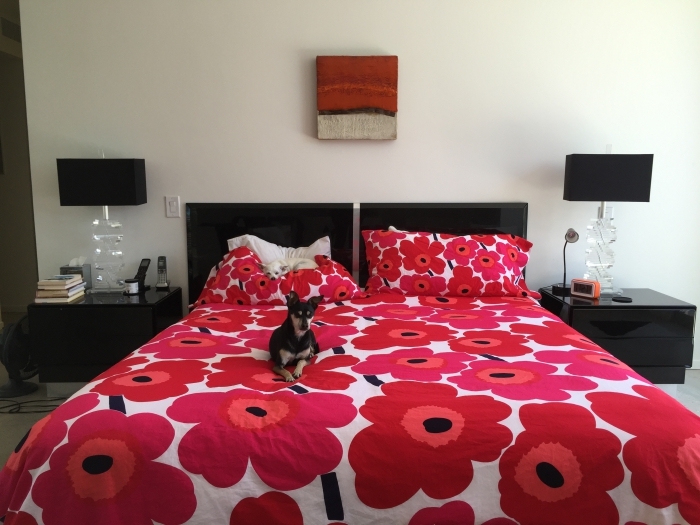 We bought our first Marimekko duvet cover about 8 years ago. It has been washed a million times, and is still colorfast like day one. 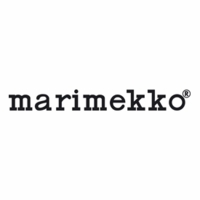 Hope this one will keep the marimekko brand going! Gorgeous! Colors are exactly as shown and the price was great. Add to that the quick delivery and i am the portrait of a happy camper. I have loved Marimekko patterns since they came to the US in 1964. This red Pieni Unikko is made of 100% good cotton and launders beautifully - perfect pillow cases to go with my Red Pieni Unikko sheets. 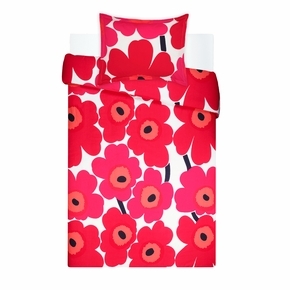 I have the most comfy bed and it is all dressed up in Marimekko Red Pieni Unikko! My daughter was coveting this duvet cover for her dorm room (she is a college freshman with great taste) and it looks and feels divine. I ordered the pillow sham to match. Wonderful products. Always admired finally have it! The print is so cheerful and I'm so happy to have this on my bed. 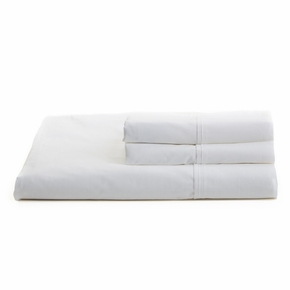 Beautifully made with ties inside the cover on all four corners to keep the duvet in place. 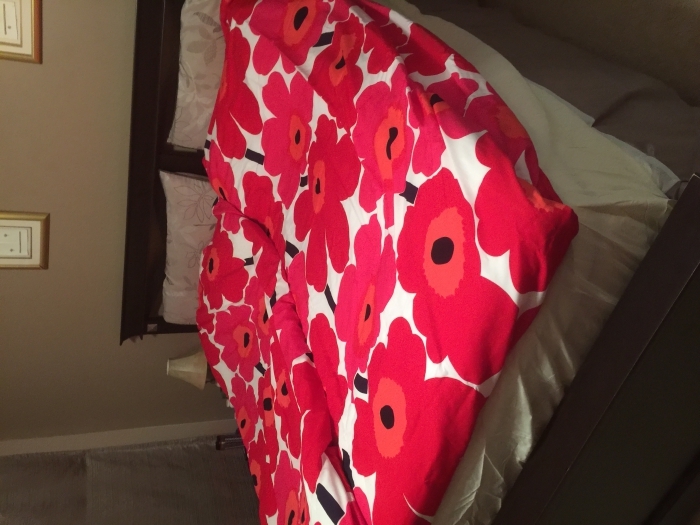 The Marimekko Red Pieni Unikko Sheet Set is soft to the touch but comes out of the dryer a little wrinkled. After you smooth it out on the bed and sleep on it, the wrinkles start to iron themselves out on their own. If you can't wait for that, you have to iron them. I like all the colors, but for me, the red is the best. I highly recommend if you like color and Marimekko Unikko especially. I got this in the red to mix and match with the pink multi color bedding set that I ordered for spring. I ordered the red because that is the classic Marimekko Unikko color that I fell in love with years ago and the one I associate with Finland the most. The only drawback is that you have to iron them. But it's worth it! Love the beautiful colours. I am also very happy with the delivery. Was delivered faster than I expected. Love this print! So glad we got the shams to go with the duvet. Material is smooth and silky to the touch, I love it. And the pattern is beautiful. The fabric is silky and wonderful. I am building a house and this will be a star in our bedroom soon as we get to move in! 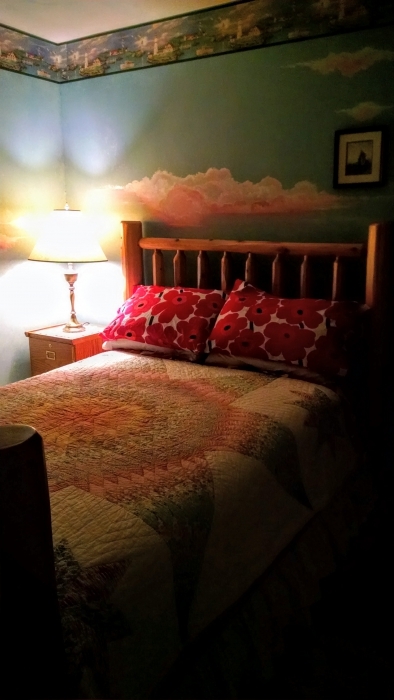 I wanted to brighten up my bed with some vivid patterns. I've always liked Scandinavian design, and so found the FinnStyle company on-line. I ordered the red poppy design pillowcases, and the order came promptly according to the time specified. I'm pleased with the company, and the purchase. Next time I will order bedsheets to match. I use the set at my lake house and it warms up the whole house. ProsIt washes well, with absolutely no fading, which I was worried about when I first purchased it. The colors are true to the picture. The size is large enough to fit most mattresses. I use it with the comforter. ProsIt enhances the essence of the comforter, and is soft against my face. ConsIt needs a little touch up ironing, but if I take i out of the dryer immediately it smoothes out. ConsI wish it had more thread. We've have another design of Marimekko sheets and love those, so getting these gives us more color choices. These are so cheerful, makes us smile whenever we go into the bedroom. THEY ARRIVED PROMPTLY AND WERE WONDERFUL PILLOW CASES, JUST WHAT I HAD HOPED THEY WOULD BE. FINNSTYLE WAS A PLEASURE TO DO BUSINESS WITH! ProsBright colors that pop ! so soft and happy. very vibrant, but not loud. i feel good every time I look at my bed. Just as pictured and just what we wanted. The price was the best we could find. This item was a gift that was greatly apprreciated. Excellent, immediate service with this company. Expedient and efficient. The cotton is softer than black unikko duvet. I was pleasantly surprised. High quality and beautiful at a great price and even better service. The pillow cases work great as less expensive shams. I ordered these pillow cases and matching duvet cover for our summer cottage. Already have the red print at home and love the quality cheerful look of these products. ProsGood quality. Doesn't fade even after numerous washings. Happy looking print. I already have the duvet cover and matching pillow cases and ordered another set when they went on sale. They are simply wonderful. Good quality and a classic happy print that you never get tired of, inspire of the bold pattern and colors! I also ordered a set of the black and white Unikko print for our summer cottage. ProsQuality of the material. No fading after numerous washings. Good without a bedspread for quick bed making. You must love reds to enjoy this comfy sheet. Love the design. Wished more textiles were as colorful and bold. Machine wash and dry, easy to care and seems to soften with washes. No regrets on purchase. ProsHigh thread count, quality, design, comfort, easy care. Aabsolutely love these sheets!! they wash up very well and are very good quality. They are very bright and fun to look at and certainly brightens up my room. Have wanted these sheets for many years and finally decided to treat myself and am glad that I did. I bought the whole sheet set, duvet cover and extra pillow cases. I team up the bedsheets with another duvet cover and the duvet cover with another bedsheets and at times I team up the whole set together. Very very versatile. I posted a picture of it in my facebook and have received sooo many compliments, even my teenage nephew who has little compliments to give said it looked pretty. The sheets match very well with my wall too and my little dog Chewie loves sleeping on it. Finnstyle also offeres great customer service, getting back to me with all my questions promptly. very very happy!!! A colorful, happy, and excellent soft cotton duvet cover that made my teenage daughter shout out loud, "I love it, I love it, I love it!". Her room is a nifty combination of retro Merimekko and sleek modern with a black and white shag rug. It all works and I love it, too. This duvet cover will certainly bring cheeriness to the bedroom this winter! The fabric is high quality, the print is bright, the fabric is soft, smooth and silky and it makes me happy just to look at it. Have wanted this item for quite some time, so it is a long-awaited dream come true. These beautiful cases are everything you want; smooth, soft, nicely made, bright colors... I am very happy with them. ProsI like the quality of the material, the brightness of the print, the care with which it was packaged and feel of the cotton (very smooth). ConsThere is nothing to dislike. It is perfect. a perfect fit for my extra thick mattress. The bright colours and cheerful pattern combined with smooth high thread count cotton ensures a beautiful bed to both look at and sleep in. Buying from FinnStyle was simple & shipping to Australia was quick. I love this duvet cover, the fabric is soft and luxurious and I already loved the pattern, service was great, thanks. Unfortunately the blue unikko pattern has been discontinued by the manufacturer and we will not be getting more. Sorry for any inconvenience. I love this; it's so cheerful and exactly what I need to cheer me up since it would go in my daughter's room while she is in college. So I was VERY disappointed to read that it only came as a duvet cover. Is there anything similar in a comforter that you know of? We do sell a quilt in this pattern, but it is the Mini-Unikko: http://www.finnstyle.com/marimekko-mini-unikko-ajo-quilt.html Very sorry for any inconvenience. 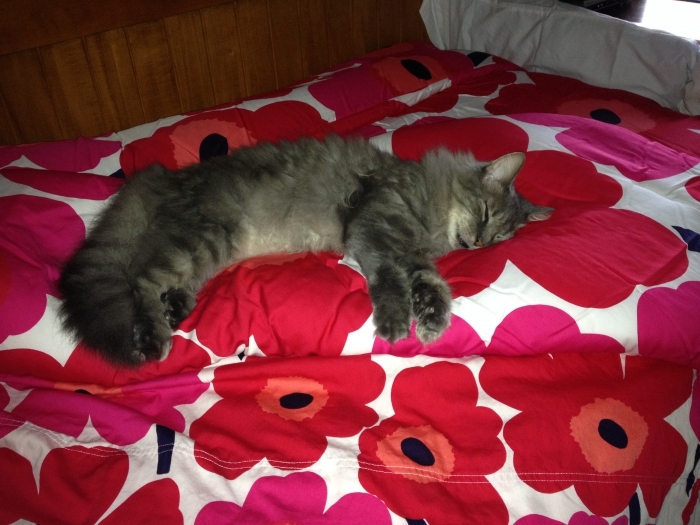 Regretfully, we have stopped carrying Marimekko comforters. We do, however, have the duvet covers and the quilts. Our apologies. does this pattern come in blue??? ?